Normally, after a long weekend to kick off summer, I'd be having vacation withdrawals. 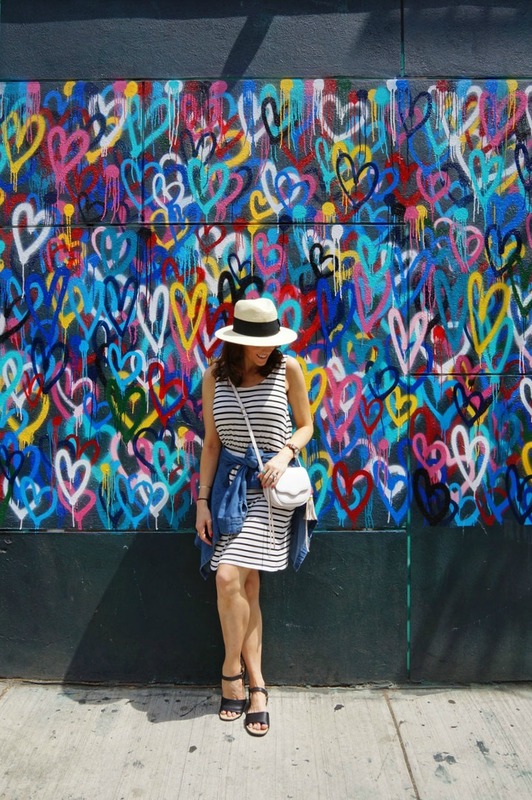 But today I'm super excited because I get to kick off summer on the blog by sharing the first of many installments of the NYC summer guide (coming June 10th) I worked on with my dear blogging friend, Michelle of Coffee & Champagne. 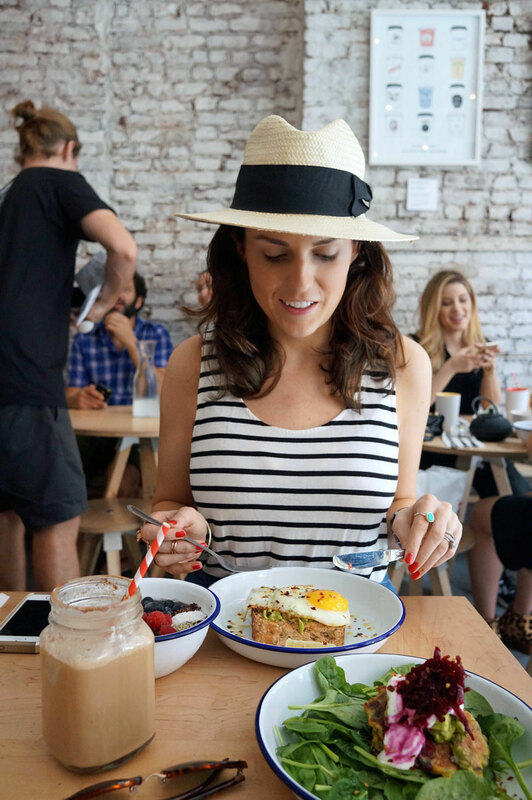 Michelle and I worked to create a guide that revolves around the two things New York thrives on, food and fashion. 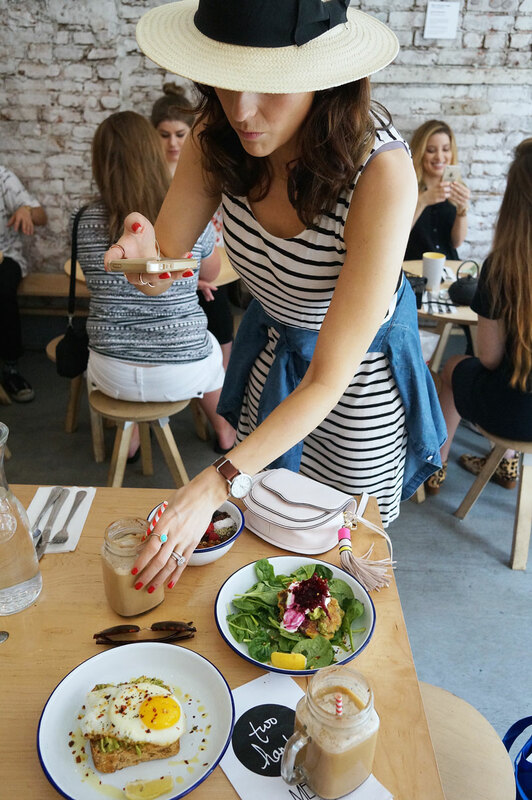 I'll be sharing what we wore to each of our stops as well as some snaps of the pretty food we ate (food has style too, right?!) and Michelle will be sharing full details on the restaurants we visited, the people behind them, and the food they create. But first things first, coffee. Literally. Because everyone knows you can't accomplish anything without getting a cup of morning joe, we wanted to start by sharing our coffee shop of choice, Two Hands. This LES spot has gained quite the cult following and it's easy to see why. The food is fresh and delicious (the corn cakes are the bomb-diggity-dot-com), the chai tea (Michelle has gotten me hooked on dirty chai....have you guys had it??) was amazing, of course the abundance of Australian accents doesn't hurt, and let's not forget the two guys who started it all, Henry and Giles, both down-to-earth, super-friendly, funny and genuinely good guys serving up good food. You absolutely must jump over to Coffee & Champagne to catch "The Hands of Two Hands, An Interview with Owners Giles Russell & Henry Robert" with Michelle, and keep on scrolling down to see what we wore to check out this coffee hot spot.